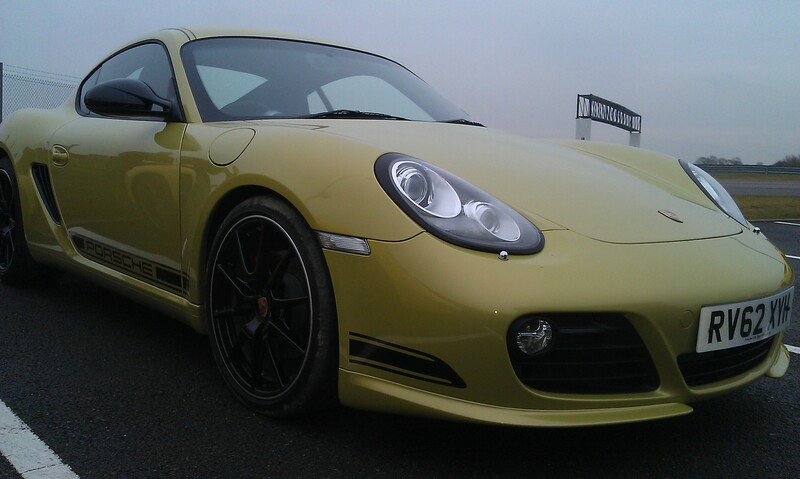 Porsche is a very powerful word. As brand names go it’s a bit like Marmite. 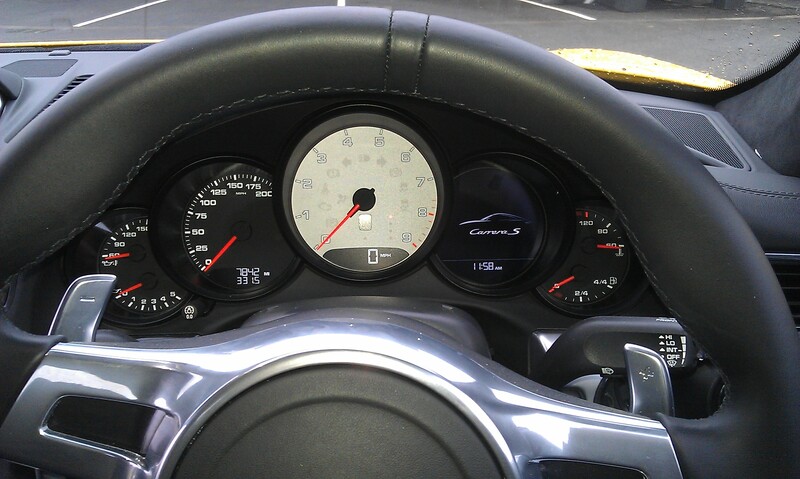 But love it or hate it one thing is certain, their cars are fast, designed for performance and driver enjoyment. 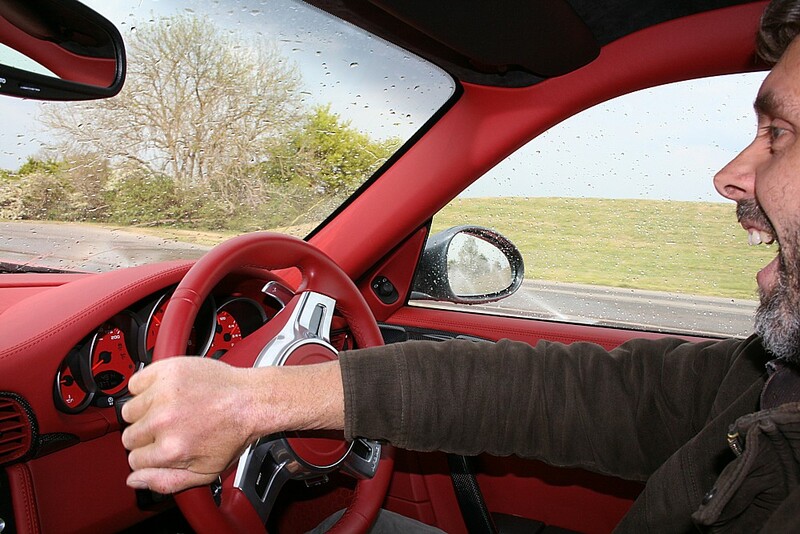 Of course, to get the best out of such a specialised machine the driver needs to have the right skills and experience too, but crucially these driver skills are of huge benefit to any driver no matter what car we drive. ASL, DSC and other stability control systems allow even the clumsiest driver to enjoy supercar power in reletive safety. Technology can be amazing. In fact you don’t even need to be a Porsche fan to benefit hugely from a bit of driver training, such as the rather brilliant packages on offer at the Porsche Experience Centre. Situated in its own dedicated complex of test tracks just a few yards from one of the fastest corners at Silverstone race circuit, it has a bit of everything to allow drivers of all levels to safely learn and develop their skills. The main circuit is not really a race track, its flowing twisting curves are actually designed to replicate the most demanding country roads. Here you can learn how to approach corners safely whilst enjoying the full potential of one of the centre’s immaculate Porsche cars. Their skilled instructors, most of whom are professional race drivers, first asses your ability at modest speed, then identify areas where you can improve and then gradually build your skill and confidence at a pace that suits you. 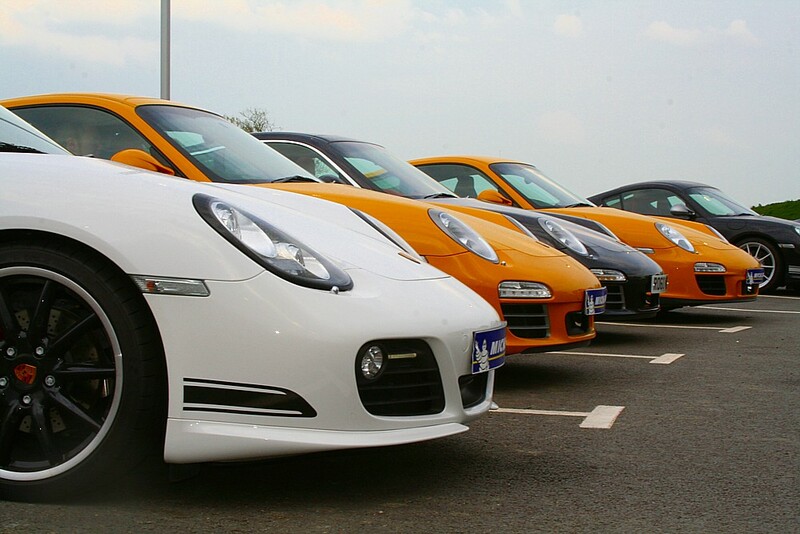 Find out what the real difference is between a Cayman and a 911, it is actually quite interesting. You don’t have to drive fast either, they go at your pace making sure you are comfortable with the speeds. They can teach you road craft, how to balance the car and how to control it in emergencies, so when something springs out in front of you on the road home you should be better able to react and maintain control. 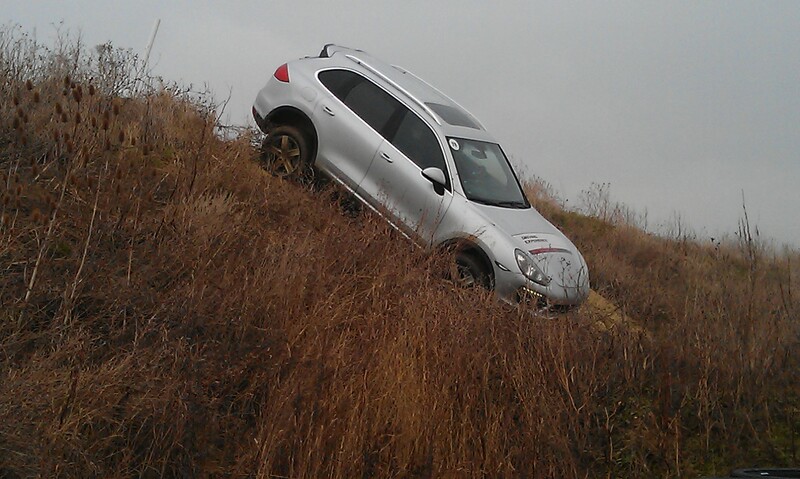 One crucial part of coping with emergencies is skid control, and although modern Porsches have stunning dynamic stability control systems built in it is still essential that the driver knows what to do should the unexpected occur. 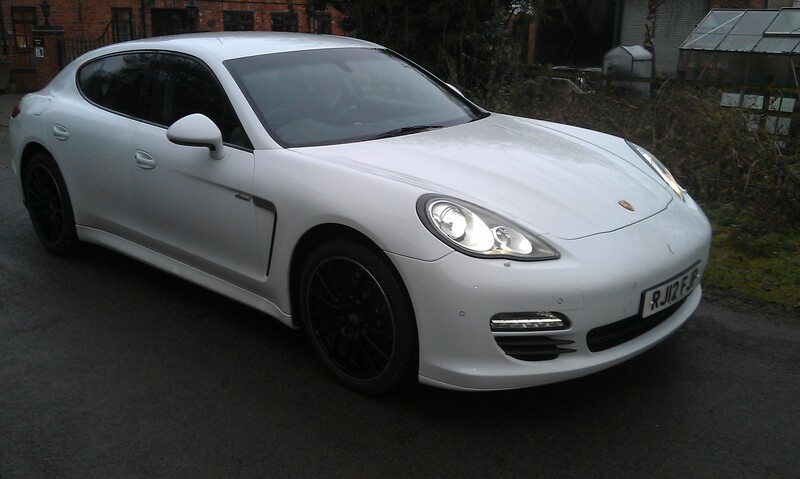 On road tuition in the rather lovely Panamera. To this end the Centre has two dedicated skid control areas where you can practice not going sideways, these smooth plastic roads are irrigated with soapy water so it can simulate the worst black ice. One area is on a hill which is set up as a series of corners, demonstrating superbly how quickly things can get out of hand if you don’t react at the first sign of a skid. The first time I tried it I drifted reasonably elegantly through the first corner, but the turn into the second put the car into a massive skid and the final corner was taken very inelegantly backwards! But with the skilled guidance of my coach the next pass was taken largely in the intended direction, if a little ragged. By the third pass all was well, under control and I was able to keep the car on the correct side of the road. I’m sure you’ll agree these skills are vital in any car, not just a high powered sports car. But of course it’s one thing to enter a skid pan fully aware of what lies ahead, in the read world you may get no warning. The Porsche Experience Centre have this covered too, they have another skid pan with the same super slippery surface, but this time it’s flat and very wide with a very sneaky surprise at the start. You are asked to drive at about 15mph in a dead straight line, a simple instruction to get from one end of the surface to the other, it should be simple. But as soon as you enter the plastic road section a computer controlled kick plate throws the back of the car sideways with a violent jolt, the system can be set up to be mild or seveqre, usually it is set to be random so that you have no idea how sideways the car will go, or indeed in which direction! This is a fantastic facility, no other track I know of has the ability to continually surprise on every lap. After just a few passes I found my reactions improving, becoming more instinctive and flowing. Find out what all those buttons actually do! This area also allows the staff to demonstrate exactly what all those stability control systems actually do, taking runs over the slippery stuff first in normal fully assisted mode, here you have to steer into the skid but the car then brings everything into line very swiftly for you. Then there is a run with stability control off but traction control still on, here you have to put in much more steering input to keep things going in the right direction and then counter steer to avoid the car flicking back the other way. Finally they let you do a run with it all turned off, with only your wits to help you as the inevitable series of dramatic spins awaits. This remarkable demonstration really does show just how brilliant modern car technology is and is well worth doing. I was fortunate enough to spend a day there courtesy of Porsche GB PR, but a variety of courses are available for anyone who fancies learning something new, you don’t need to be a Porsche driver or even have a fast car, they have a selection of cars for you to use including their luxurious executive saloon and the Cayenne off roader. And it’s not all about speed, there are road based courses, off road courses and you can even book a session in their classic ’70s 911. There is something to cover every aspect of driving, and before you ask yes I am going to book one myself! Your office for the day.